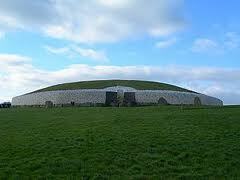 NEWGRANGE a World UNESCO Megalithic Passage Tomb built about 3200BC. 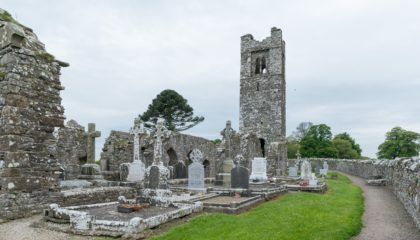 MONASTERBOICE founded in the late 5th century by Saint Buithe. 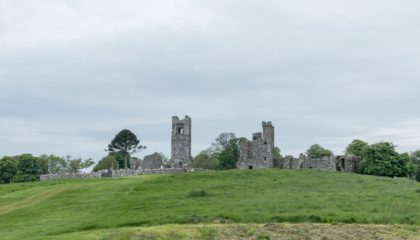 MELLIFONT ABBEY, a Cistercian abbey founded in 1142, it was the first abbey of the order to be built in Ireland. BATTLE OF THE BOYNE site. 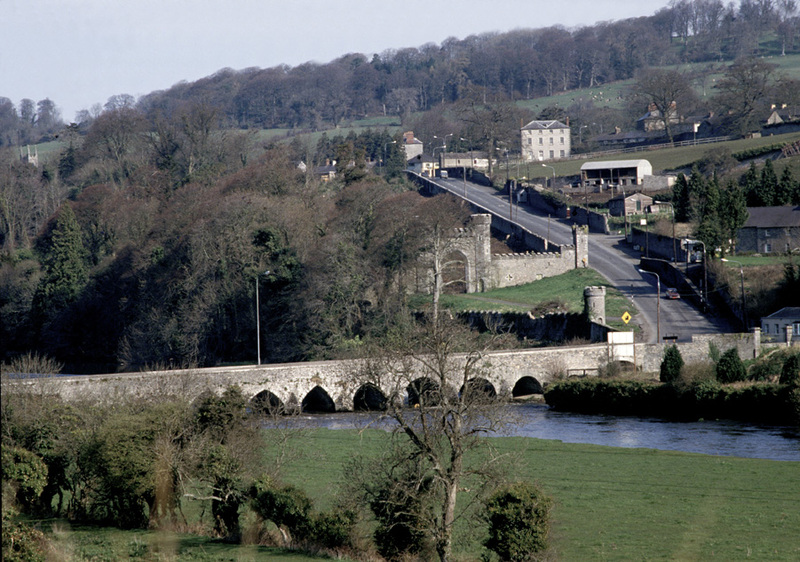 Learn how the Battle of the Boyne in 1690 transformed Ireland. 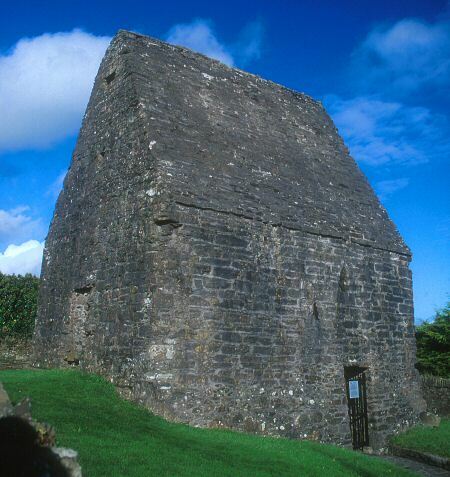 SLANE HILL, where St Patrick lit the Pascal Fire 433AD in defiance of the High King of Tara. KELLS, St Columbas Church and replica Book of Kells. This is where the Great Book of Kells (housed in Trinity College Dublin) was completed. 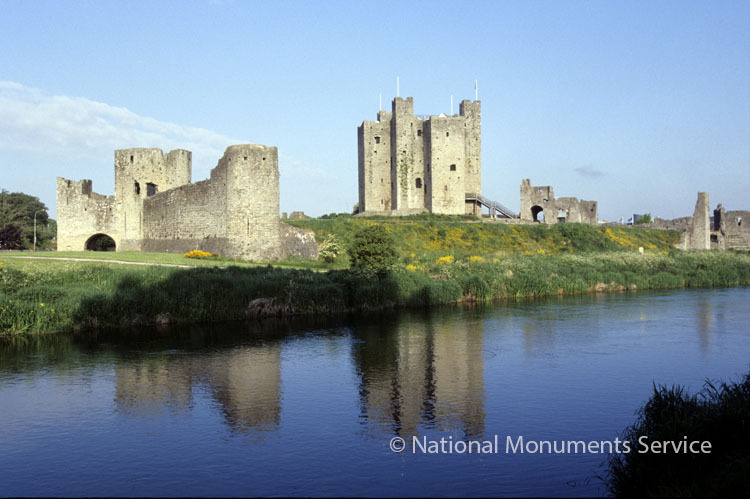 TRIM CASTLE, the largest Norman castle in europe built by Hugh de Lacey in 1173. 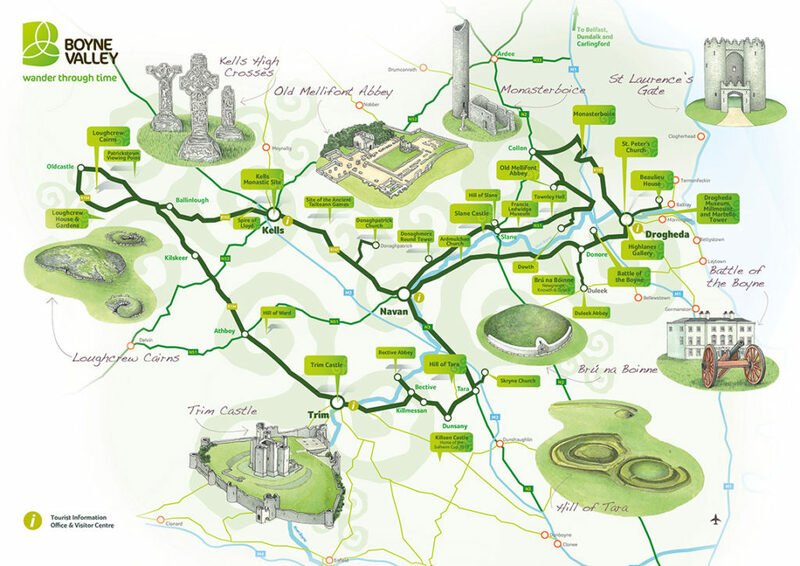 HILL OF TARA , an ancient Neolithic site and home to the High Kings of Ireland. 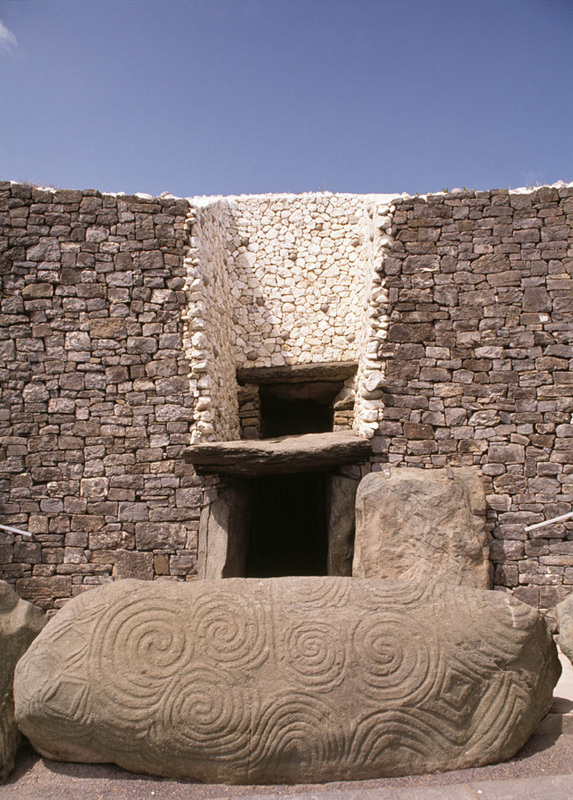 Newgrange is world UNESCO site and is over 5,000 years old Newgrange is a passage tomb which is 76 metres in diameter over an area of roughly an acre. 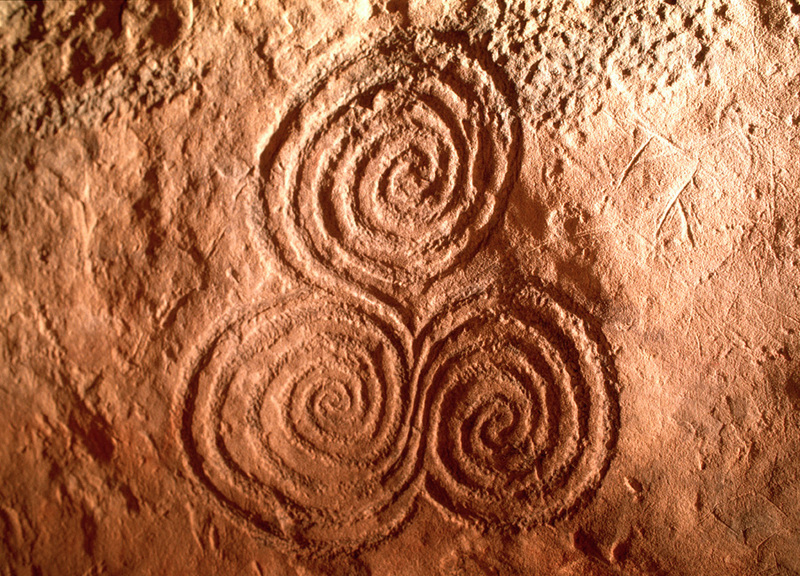 It is from the Neolithic period where people started to settle down and farm on lands instead of being hunter gatherers. 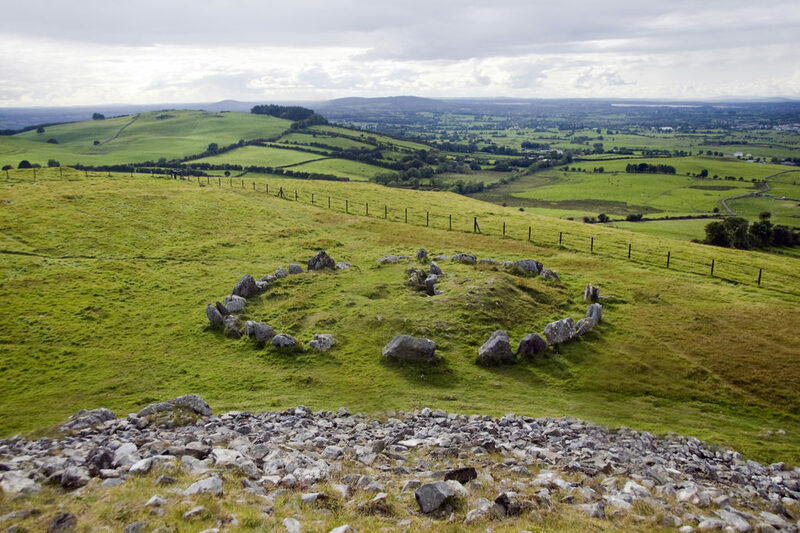 The mound is ringed by a stone circle with 93 kerb stones weighing upwards of a tonne surrounding the mound. 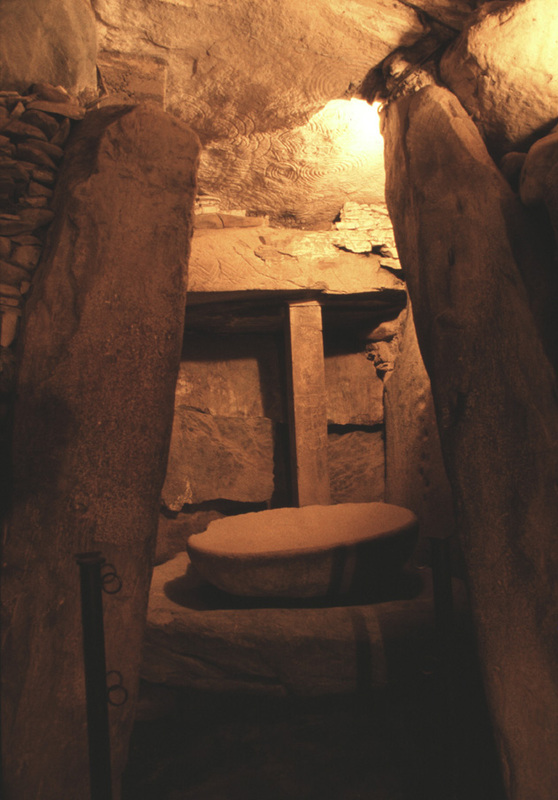 Inside there is a 19metre long passage way which is quite narrow and is in cruciform shape at the top. 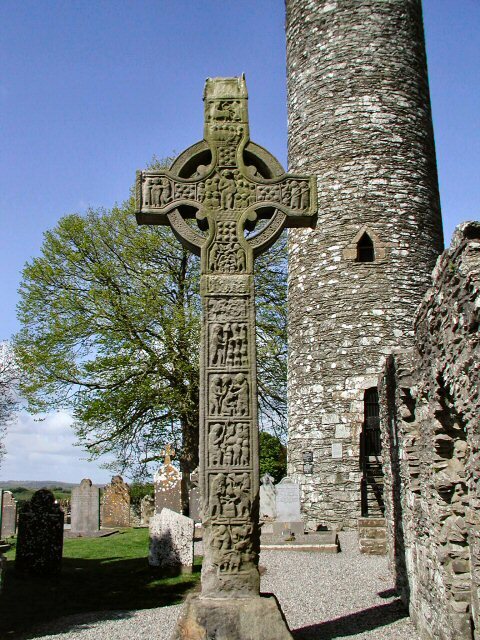 It is ironic that it is in a cruciform shape as this is well before Christianity ever arrived to Ireland. The roof of this mound is all stone and has been done is a corballing method which has never leaked in over 5,000 years. The battle of the Boyne site is where a battle took place for the crown in England between James 2nd and William of Orange, his son in law, in 1690. 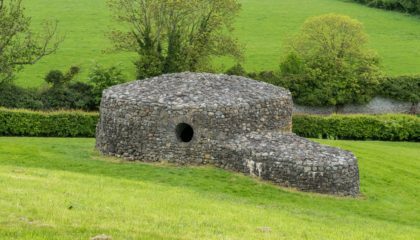 This battle transformed Ireland forever..
Kells is very famous for Saint Colmcille, where he finished off the famous ‘Book Of Kells’. 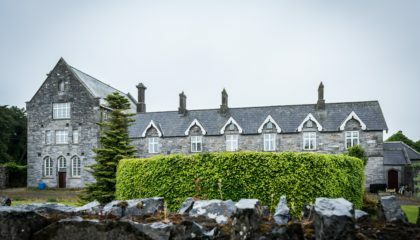 See the house that is 1000 years old, a round tower and high cross which were part of the Monastic settlement founded by Colmcilles monks.